Here are a few shots taken from the water of what seemed to me to be a classic small working skiff built from what looks like solid timber we sighted on the river Vilaine in Brittany while on holiday a few weeks ago. It’s crude, heavy, basic and all the rest, but its interest lies in the fact that in England, just across the Channel from Brittany, we don’t really have boats like this – to the extent we often think of them as being exclusively North American boats, thanks to the work of American language authors writing in English such as Howard Irving Chappelle. But I’m pretty sure the American models, some elegant, light and nicely made and some heavy workhorses, some called just skiff or maybe sharpie skiff, flat iron skiff or flattie skiff or a range of other names, must have developed from European craft like this one. PS – In answer to Doryman Mike Bogoger’s query in the comments below, here are two photos of the interior of a somewhat different boat local to the same area as the skiff above. 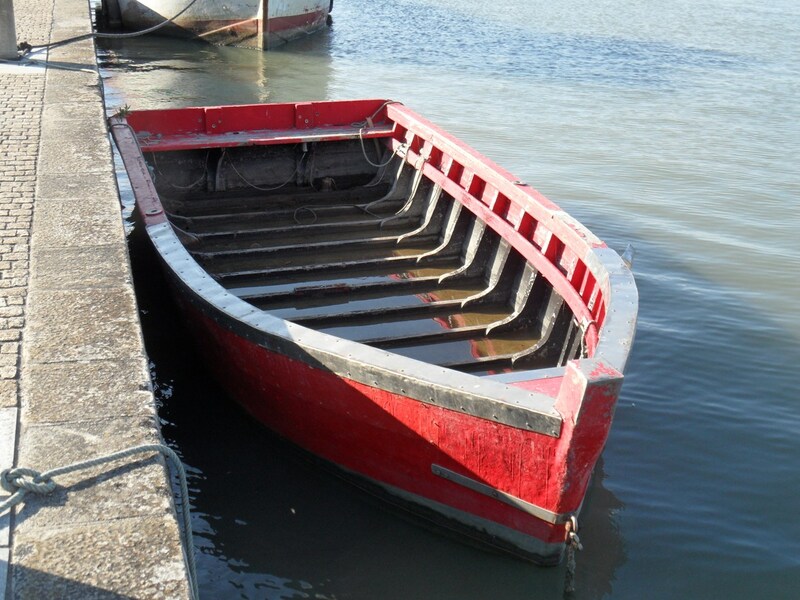 These are used for tending mussel beds etc in the Vilaine estuary. I don’t know how closely these boats are related, but I think their construction is broadly similar. The influence for that design would be the Med. (here in the US, too) I’d really like to see a clearer shot of the planking and construction method. Portugal had a lot of cultural influence on the eastern seaboard of the US, through the cod fishery, and I believe, is where some of our skiffs and dories came from. To me this looks like what we call a Portuguese Skiff (original, no?). 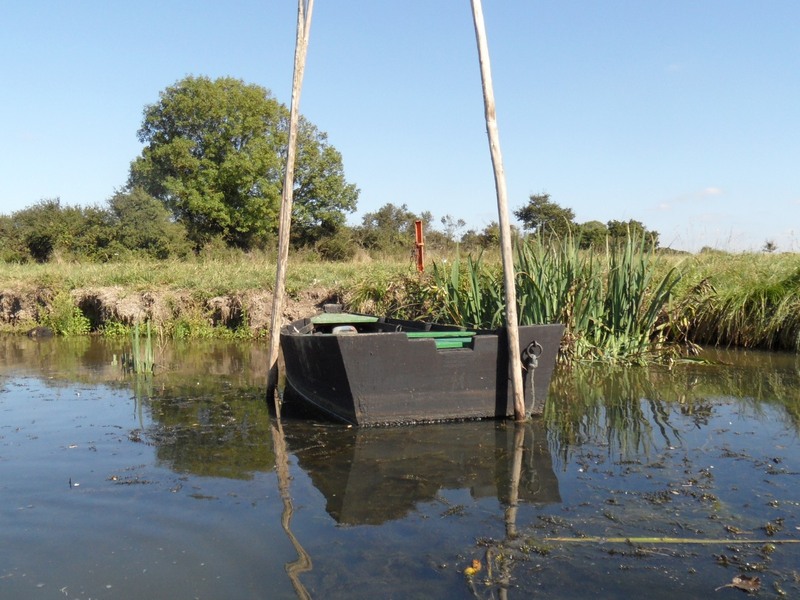 Love the rustic mooring device, looks like 3 withies? 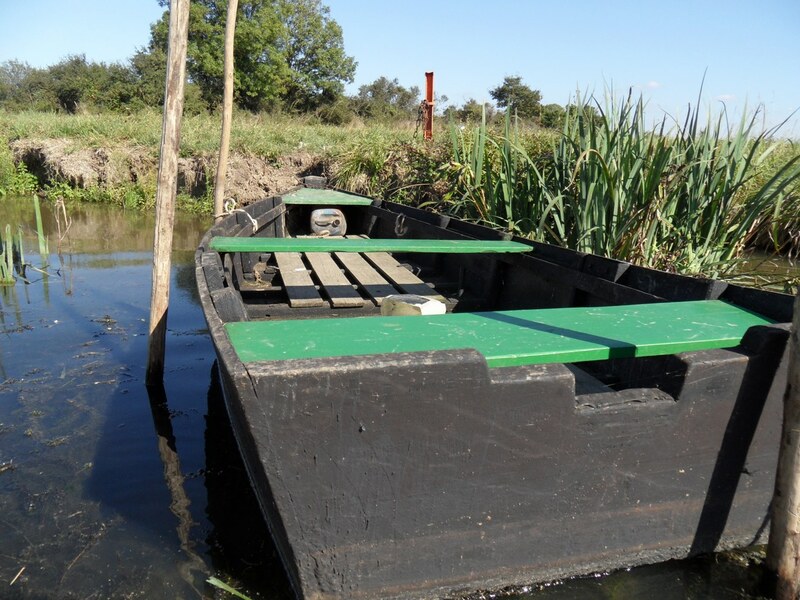 Now that’s a proper load carrier – a real working flattie skiff. I don’t think anyone makes them like that now, not even the French. In the first picture, what you call a skiff is a riverboat we call “barque” in France. Mostly used by freshwater fishermen they often have a fish-well in the middle. They now have almost disappeared. 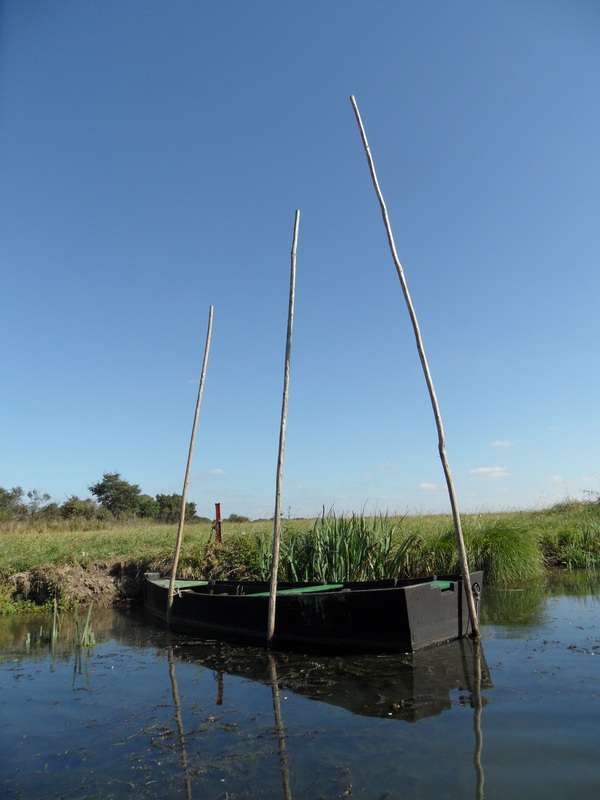 Flat-bottomed boats could be found everywhere on the coasts of France in estuaries, sheltered waters, lakes et lagoons. Some of them have been rebuilt. Hi, I have a home here on the Vilaine at La Roche Bernard. During the Summer I was chatting with a local bar owner and his friend. The friend had brought a supply of wine from far in the upper reaches of the Loire to La Roche Bernard on the Villaine via the Nantes Brest canal. From what I can gather it was for a challange and a flat skiff type craft was used, though some of the story may have been lost in translation and language difficulties. I believe that the Loire gets skinny pretty quickly so a flat bottomed craft would have been the way to go. Previous Previous post: Percy Blandford is 100 today!